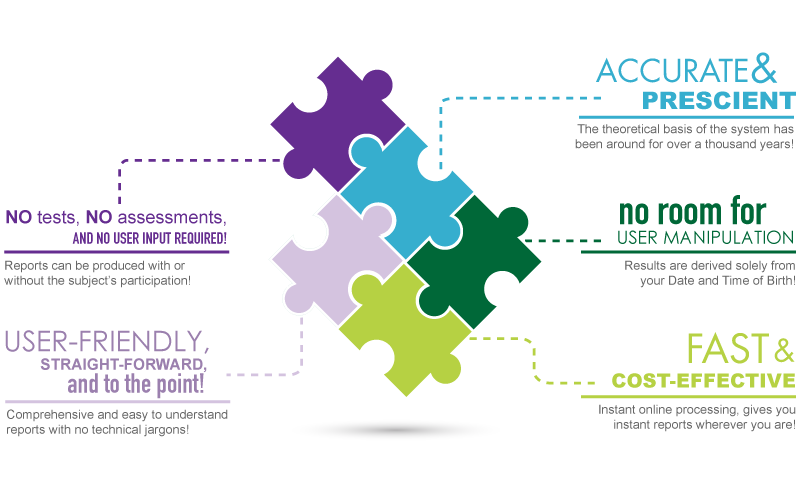 • it helps Business Leaders make better decisions in Hiring, Selection and Performance Management. 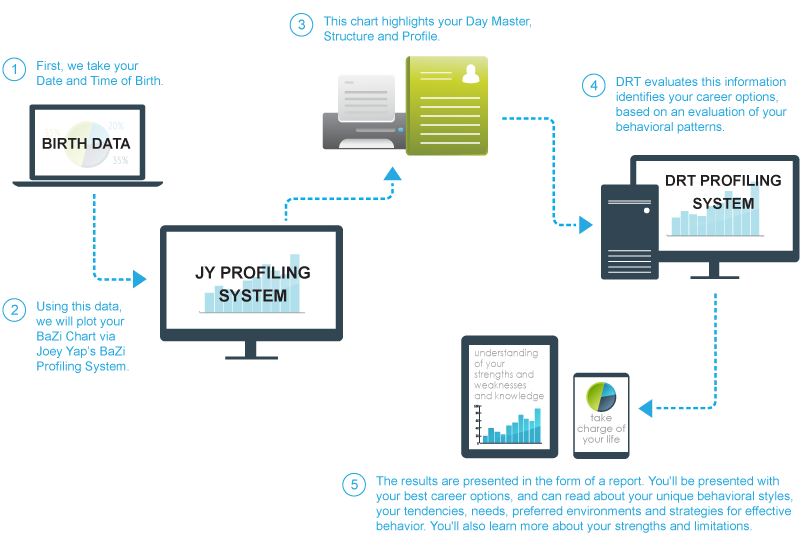 The DRT Profiling System traces its roots to the fundamental principles of the ancient time-tested system of Chinese Astrology, which has evolved over the years to become simpler and more applicable in today's workforce context. Chinese Astrology is accurate and prescient, and has had proven success and efficacy throughout the course of Chinese history. It provides you with a good understanding of your strengths and weaknesses and knowledge of potential challenges and obstacles. It enables you to understand the role of Destiny, and how it plays out in your lives and the lives of others. With this information, you can overcome challenges while striving to effectively fulfill your potential and actively take charge of your life. 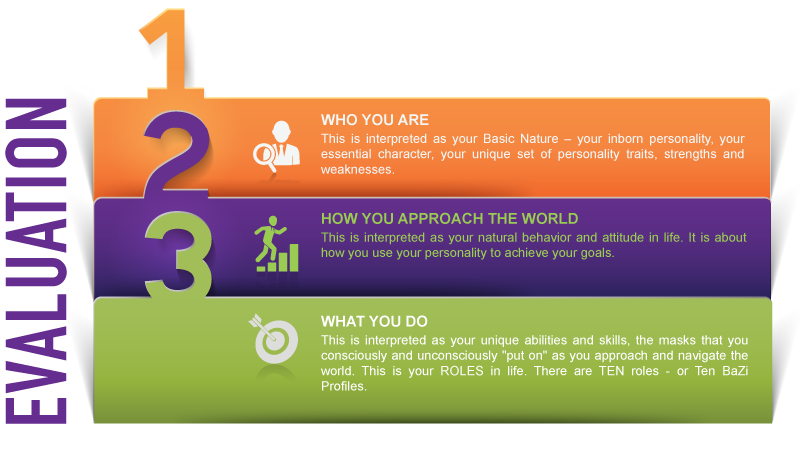 The DRT Profiling System evaluates three levels of your personal nature and characteristics - it looks at Who You Are, How You Approach The World, and What You Do.